Start off with a 6-to-12 lb. sledgehammer and work up to the heavier 14-to-20 lb. as this workout gets easier. This can be done with or without a tire. If no tire make sure the surface you strike is safe. Splitting wood with an axe is similar to doing a sledgehammer workout. Sledgehammer workouts build a strong core. Your love handles / obliques gets a good workout due to the twisting motion of your midsection as you swing the sledgehammer. Women: Your arms will get firmer but avoid the heavier 14+ lb. sledgehammers if you don't want huge muscular arms. Men: Your arms will get bigger especially as you begin to use the heavier sledgehammers. Do sledgehammer workouts for 10-to-40 minutes, 1-to-2 times per day, 2-to-4 days per week. Use a diet like this where you can eat anything you want or a diet like this where you don't need to count calories. I'm getting results & feel amazing! I always enjoy reading your tidbits and advice. I did try the sledgehammer one with a metal bar and an old car tire & I think my mom got scared thinking i was turning into some psycho chick -Anyways its a great one for the abs! How often should you do the sledgehammer workout? 3 days a week or so? Do the muscles need to rest? I enjoy all of your workouts. 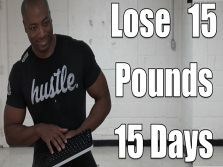 I am down to 168, but still have a belly apron of fat (I have 3 kids), will this workout help burn this stubborn belly fat so that I can get a flat stomach? 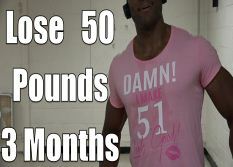 I have been working out with your videos everyday of the week for the last couple of weeks! I am doing intermittent fasting...I eat within a 4 hour window, once a day. My caloric intake is approximately 1200 per day. My belly apron has lifted and is shrinking, but I want it gone. I am not consuming sugar, sodas, white rice, bread. I follow the list you have posted on your site of foods to eat. Any suggestions? I just reviewed what you suggested and I will review it again. I am constantly on your site. I love the 4 minute sledgehammer workout, which I did today 3 times. I will be checking back in. You are a great coach and inspiration to me and millions of other people. Keep up the great work Adrian. Hey I tried this for the first time a few days ago and felt it all over. I just did it again today and notice that my right side (dominant side) is more sore than my left even tho I've made sure my form is the same when I do each side. Is this normal? did it feel weird when doing it with your non-dominant arm? was you using the same intensity with that arm? I didn't notice any difference other than my right side getting tired quicker and I kept checking my form and it seemed good and the same as my dominant side. Everywhere else (midsection, arms, shoulders, back, calves) was equally sore. Will this workout help me to build muscle, like alot of it? I want to be a bit on a bulky side along with being ripped, will this help me to do that? If not, how can I be a bit bulky + ripped? 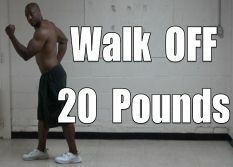 What more workout I have to add along with sledgehammer to build muscle. But this workout will help me build lean muscle all over my body right? What if i pair it along with your One excercise to build muscle all over and couple of sets of push-ups and dibs? "This" is the kind of physique i want at the end. I'm working towards it and now with your help, I'm sure of achiveing it. Thanks alot for your reply adrian! Really appreciate you helping us guys out here. Approx. how many calories are burned doing a 10 minute sledge hammer workout in the morning? By the way love this workout hubby and I have been doing it now for two day and it really works! Adrian! I have found that moving from the 8lb to 12lb sledgehammer makes a HUGE difference! Awesome workout! Did this one and the 5 min workout twice this morning! GREAT workouts! Thanks!